MARSHALL, IN With its cluster of white four-petaled flowers on a tall, slender stem, garlic mustard actually looks pretty, something that would look nice in a vase. 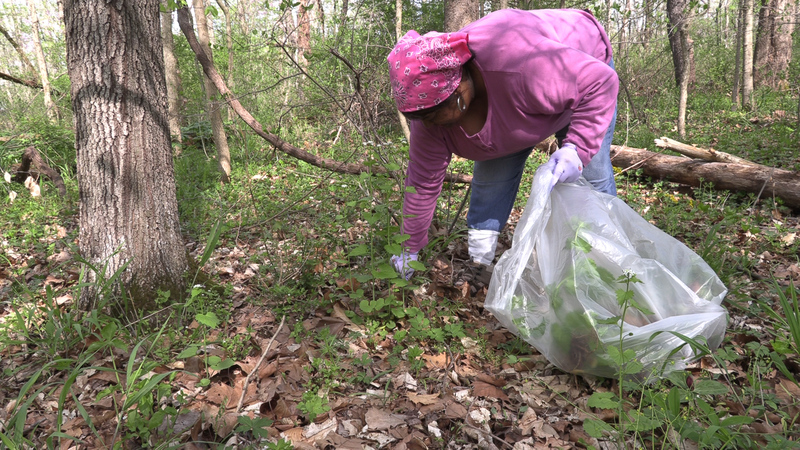 However, looks can be deceiving, the Indiana Native Plant and Wildflower Society lists garlic mustard as one of the 10 most destructive invasive species in the state. Garlic mustard was brought to the US by European settlers who grew it in their gardens for salads. It has since escaped the garden, and because it doesn’t have a natural predator, it has spread rapidly to backyards and wooded areas. 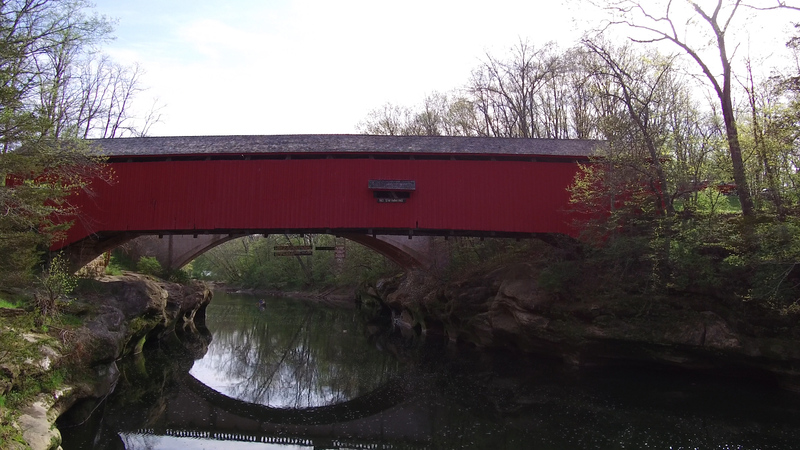 “It has the ability to actually suppress growth all around it,” said Amber Slaughterbeck, a regional specialist for Southern Indiana Cooperative Invasives Management. Garlic mustard is a biennial plant. The first year, it begins as a rosette of pungent kidney-shaped leaves. The second year, plants can grow up to 4 feet tall, with the white flower clusters and sharp-toothed triangular leaves. It is said that one plant could produce as many as 1,000 seeds. Because of its rapid growth, garlic mustard is outcompeting native plants. 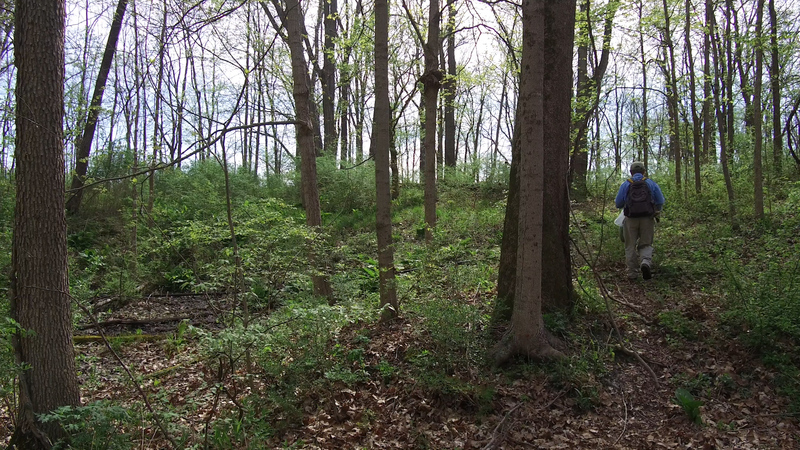 “The native understory could be completely covered in garlic mustard, and we wouldn’t have anything for our pollinators and any trees even to renew our forests,” Slaughterbeck said. 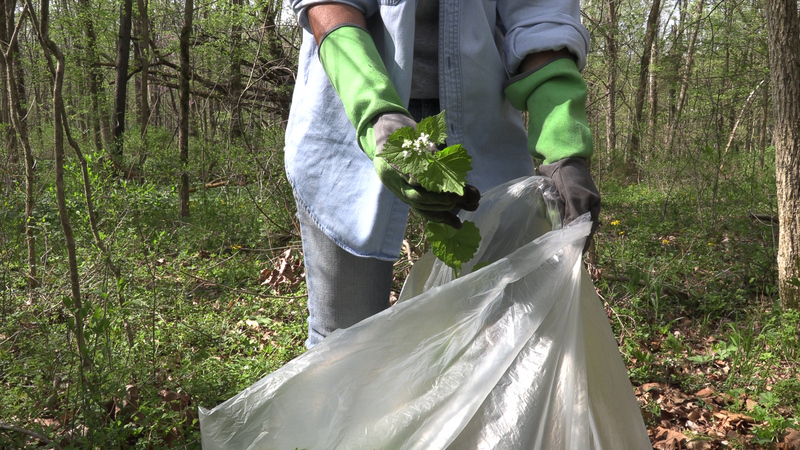 But there is a more practical alternative to bagging garlic mustard for the trash. “It’s not a poisonous plant. I would encourage people to pick it and eat it. It’s actually really good,” Slaughterbeck said. It can be made into pesto, used in dressing for potato salad or even incorporated into ice cream. 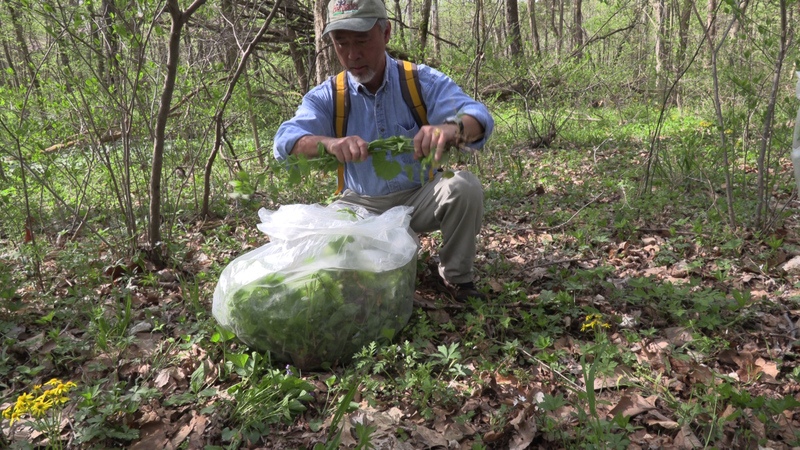 State parks around Indiana have scheduled garlic mustard pulls — sometimes called a massacre. 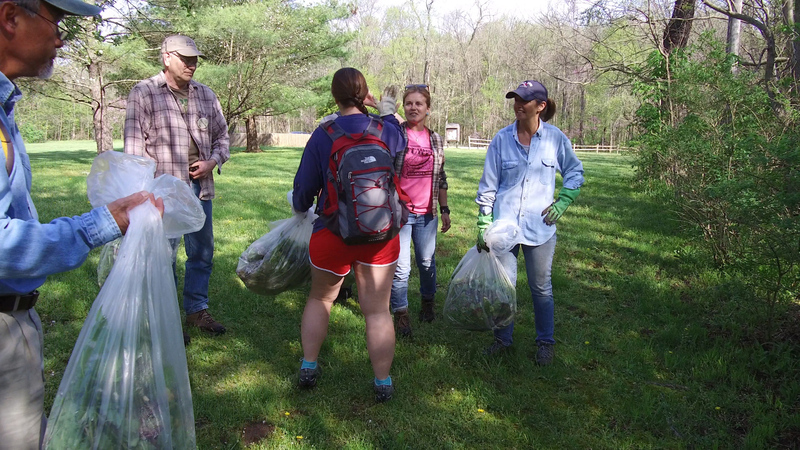 During a recent pull at Turkey Run State Park in Marshall, volunteer Daniel Griggs said the amount of garlic mustard in the park has decreased, thanks to the efforts of volunteers. “This year there has been less than any year before,” said Griggs, who has been volunteering at the park for almost 20 years. Taihung Peter Duong said it was important for him to volunteer because he wanted to be able to identify native versus invasive plants. “We live among nature, and yet most of the time when I walk through a park, through a forest, I have no idea what I’m looking at,” he said. Slaughterbeck said there are other benefits to helping remove garlic mustard according. 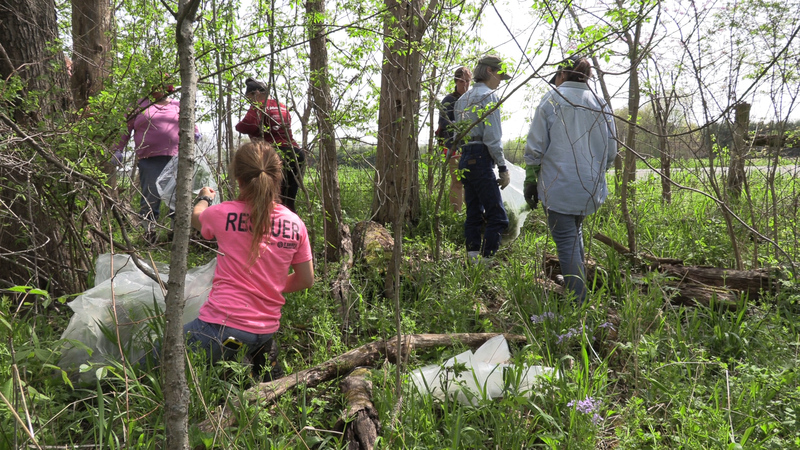 Education about invasive plants might be the first step, but Slaughterbeck believes it leads to other actions that benefit the environment. She said it’s also important for people to know that dealing with invasive species costs the state a lot of money. “[People] take that message with them and they learn to respect our environment and nature more just by simply learning how important it is to protect it,” she said. The Indiana Native Plant and Wildflower Society lists garlic mustard as one of the state’s 10 most destructive invasive species. However, it’s one of the easiest plants to eradicate. Due to its rapid growth, it is outcompeting native plants. If left unchecked, garlic mustard could completely cover the native understory of woods and forests.